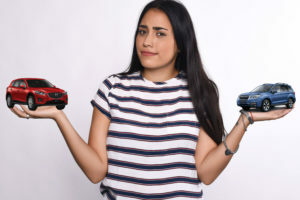 Jaguar released their mid-size luxury crossover back in 2016 and while not the best out there, it definitely was a hit. So far they managed to sell over 40,000 units which is considerably more than any other Jagur. 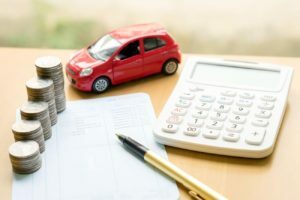 Thanks to that, the company is finally able to push forward with their future cars. 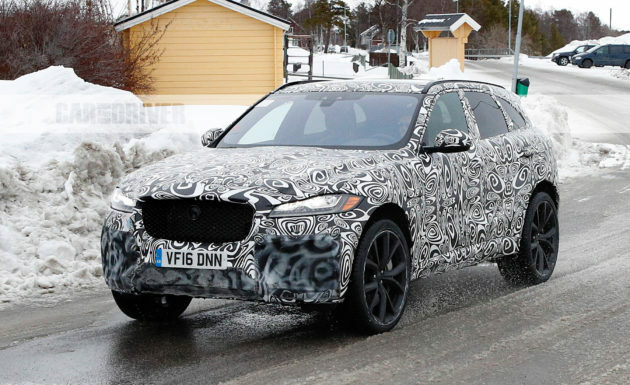 Until then, it looks like Jaguar will release a new version for their F-Pace. 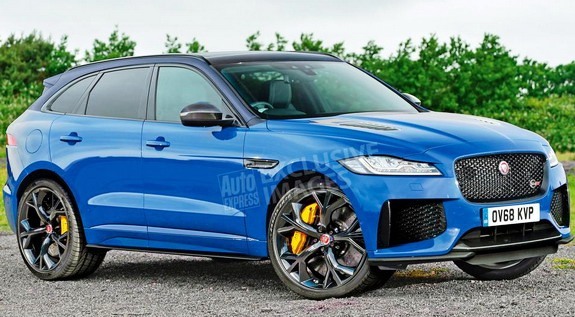 This should be the 2019 Jaguar F-Pace SVR which has the chance to become the hottest crossover in its class. So far the details are still scarce. Even so, we managed to take a good look at the development prototype which looks quite impressive. 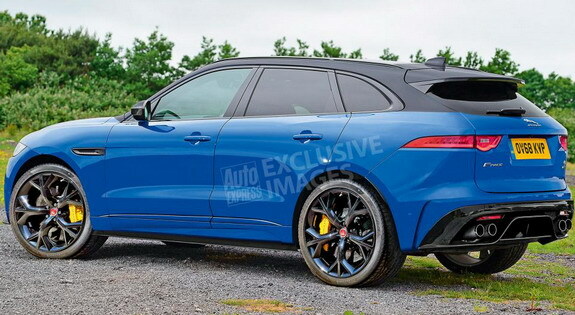 Just like with most of its rivals, the SVR will still use the same platform as the regular F-Pace. However, they will make improvements in order to make the car better to drive, not just faster. In order to do that, Jaguar is likely going to replace the entire running gear. Most rumors seem to suggest the car will come with an air-ride system as standard. This will get adaptive shocks which should allow the car to not only corner but also be quite comfortable. From the spy shots we can also see considerably larger brakes than on the regular models. However, these were not carbon ceramic. 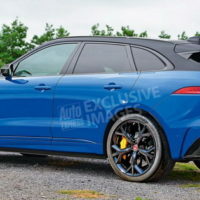 Instead, it looks like Jaguar is going to still use steel brakes. 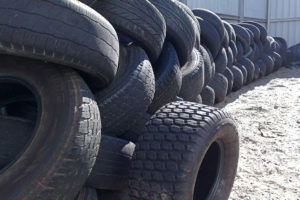 While these are not as high performance, they do tend to offer a better feel which is desirable on the road. The camouflaged prototype also sported massive 20 inch rims which could be standard on the production model. 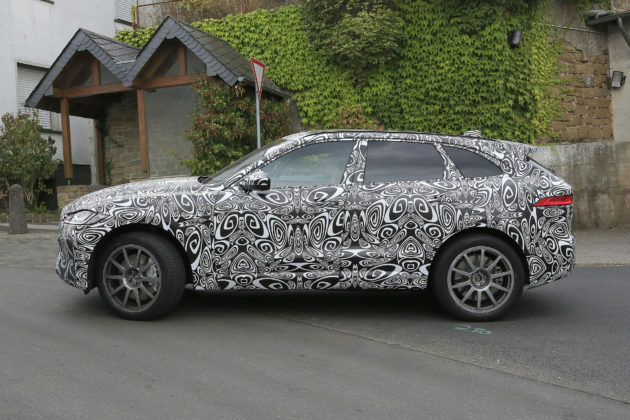 The F-Pace is one of the more unique-looking cars in its class. 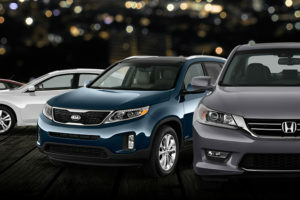 Instead of having the regular SUV look, it has a more hot-hatch allure to it. The front end is quite a bit longer than that of its rivals while the roof-line is different too. The end result is a car that looks sporty even when standing still. 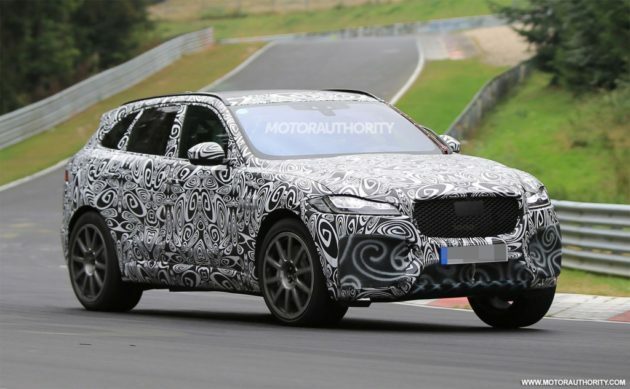 We have no doubt the 2019 Jaguar F-Pace SVR will be no different. In fact the car should come with even more aggressive features which is usually the case with these types of cars. From the spy shots we can also see the car will get a quad-exhaust system with the tailpipes mounted closer to the center of the car. Costing up to $70,000, the current F-Pace is not exactly a cheap car. 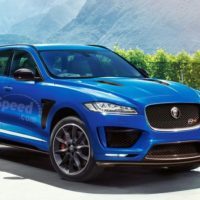 Well, the 2019 Jaguar F-Pace SVR is going to get even more expensive. Considering how much performance it will deliver, the car should get near, if not above, $100,000 which is where most of its rivals are. Unfortunately Jaguar decided to still keep the release date a secret. 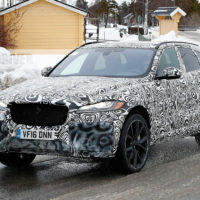 However, considering how complete the development prototype looked, it is safe to assume the car is not far from release. 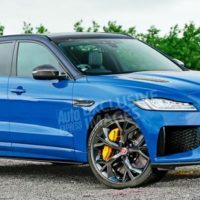 Just like with most performance cars, the 2019 Jaguar F-Pace SVR is going to be quite similar to the regular model. 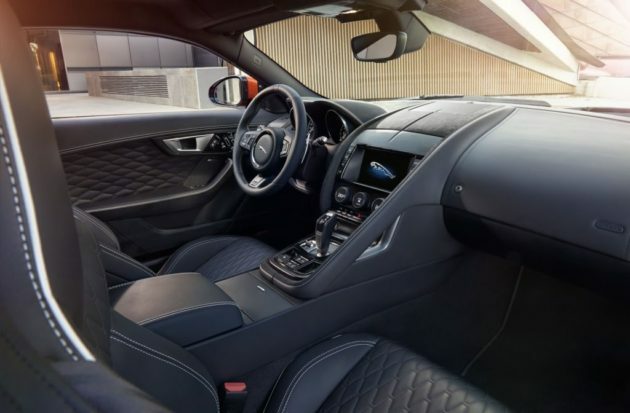 The interior layout will remain the same and so will the available options. The big difference will likely be the materials. On top of sporting nicer materials, the car should also come with different front seats. These will give the driver and its passenger more support while driving fast without compromising the comfort. The rear might also receive a slightly different bench seat but nothing has been confirmed up until now. The regular SVR comes equipped with 4 and 6 cylinder engines. 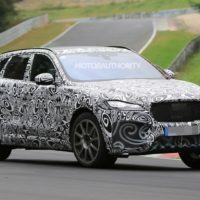 The 2019 Jaguar F-Pace SVR will be quite a bit more different. Thanks to the fact the engine block of Jaguar’s 5.0 liter V8 is as long as the V6, it is safe to assume the SVR will get the V8. This supercharged engine should be more than capable of providing 575 horsepower and over 500 lb-ft of torque. The engine will be mated to the same 8 speed automatic which is found in Jaguar’s other vehicles. While the performance figures are still hidden, we can expect a 0 to 60 MPH time of around 4.0 seconds. The car will more than likely have an unlimited top speed which should hover around 175 to 180 MPH. In terms of fuel consumption, this engine is known to be one of the worst in its class.